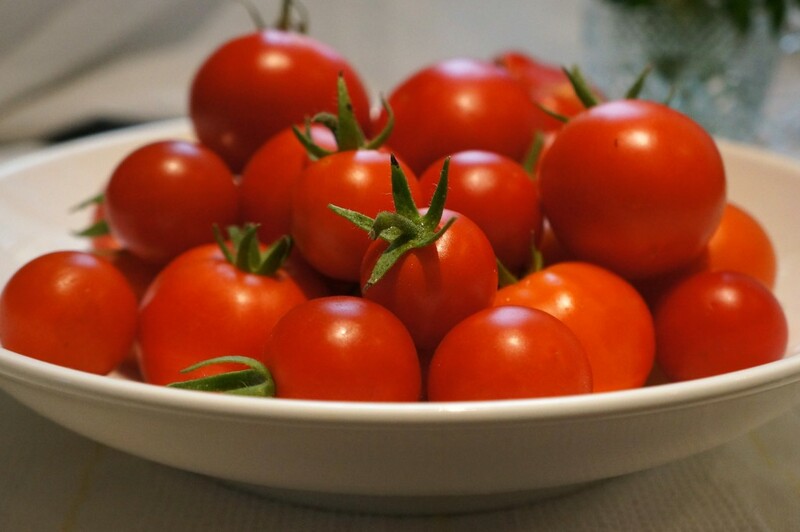 The end of summer is fast approaching and it’s peak time for tomatoes. 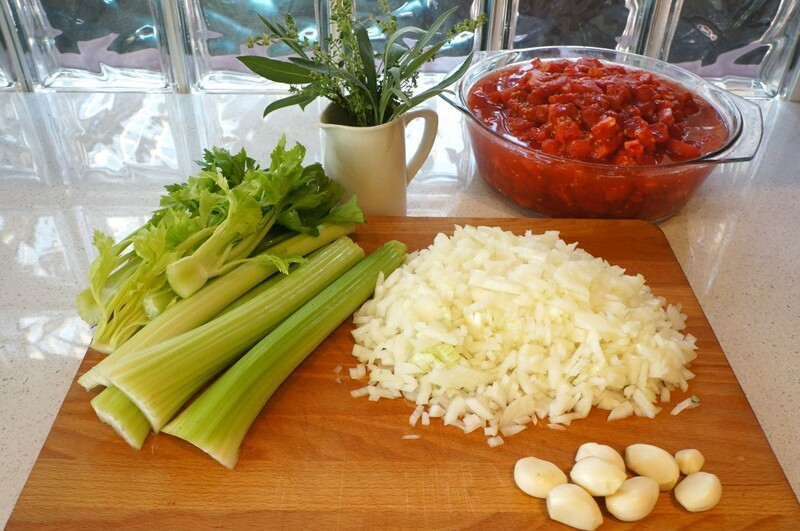 The Italian tradition (at least, here in Australia) is to make sugo di pomodoro (tomato sauce). And as I mentioned at the beginning of my Italian summer, to live like an Italian, the Italian tomato tradition is definitely one to embrace. We have an abundance of these summery red orbs, so it was into the kitchen and on with the sauce. I made two different sauces – Sugo pronto, a ready-made sauce which can be used as a base for tomato sauce based dishes. The other, Passata (tomato puree), using roasted tomatoes flavoured with garlic, herbs and a small amount of cipolla (onion). Both sauces turned out well, but we were surprised at the small amount of sauce we ended up with compared to the huge quantity of tomatoes we started with. 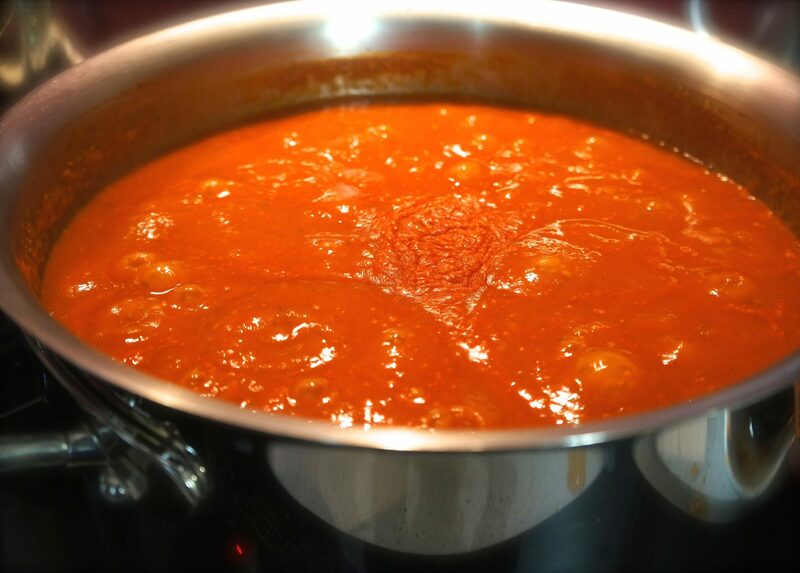 There are lots of recipes for Sugo pronto (homemade tomato sauce) with different combinations of ingredients included with your tomatoes. 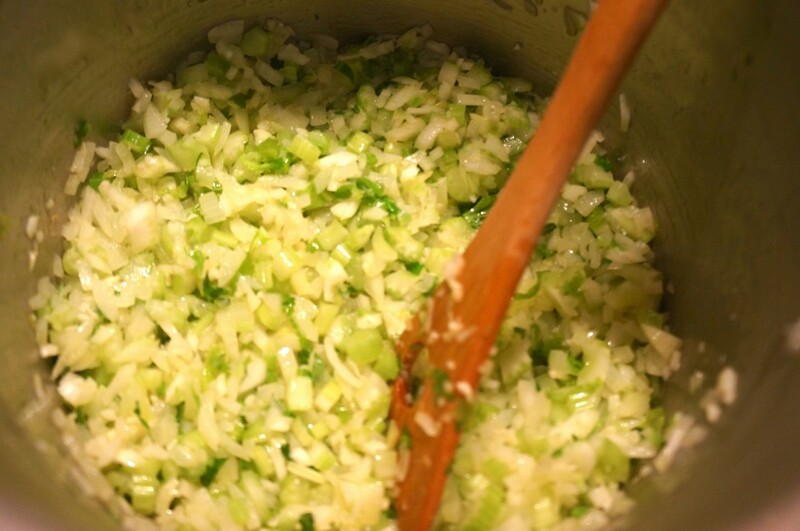 For my sauce, I used cipolle (onions), aglio (garlic) and cedano (celery), with the addition of oregano, basil and sage which I tied into a bundle. I’ve included a few photos of my sauce making efforts. For the passata (roasted tomato sauce), we used our cherry tomatoes. The process was simple and the end result was gustoso (tasty). 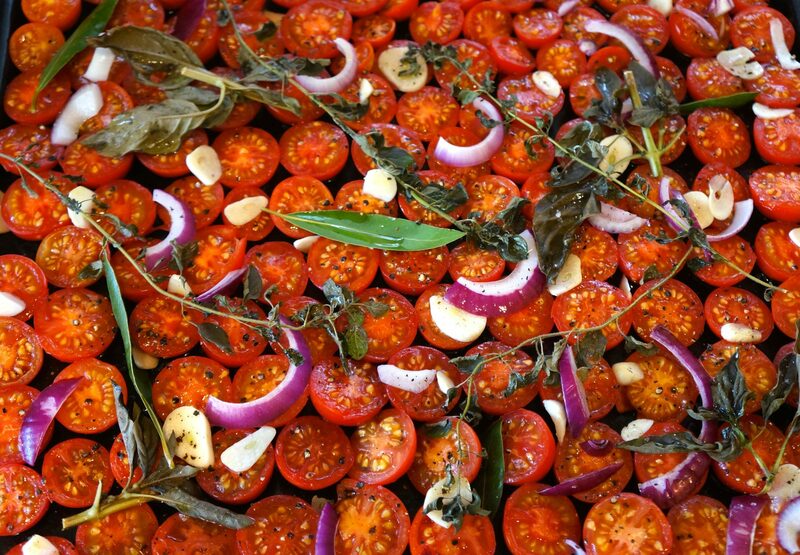 Halve the tomatoes and place in a single layer in a baking dish. Add the onion, garlic, oregano, basil and bay leaves. Roast in a 150 degree preheated oven until the tomatoes begin to blister and collapse. Pass the tomatoes, garlic and onion through a sieve to remove the skins. Blitz the sauce in a food processor. 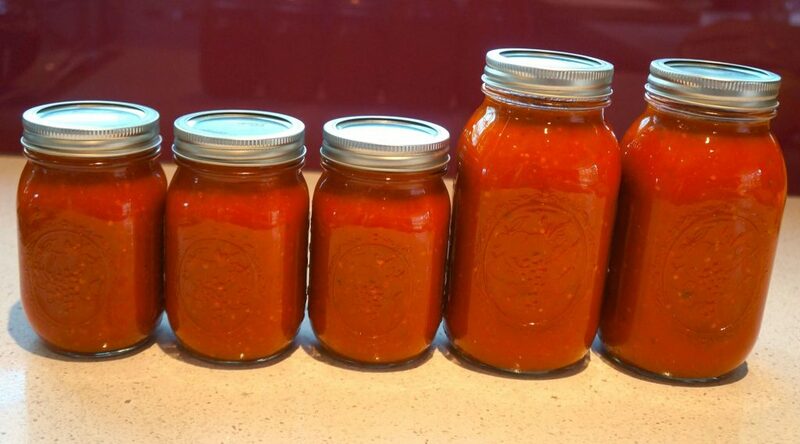 Pour into sterilised jars and heat seal if you plan to store it for the winter. Italian tomato traditions are not only for Italians. If you have a bountiful harvest, why not try and make your own! The taste is so much better than anything you’ll find in your local store. 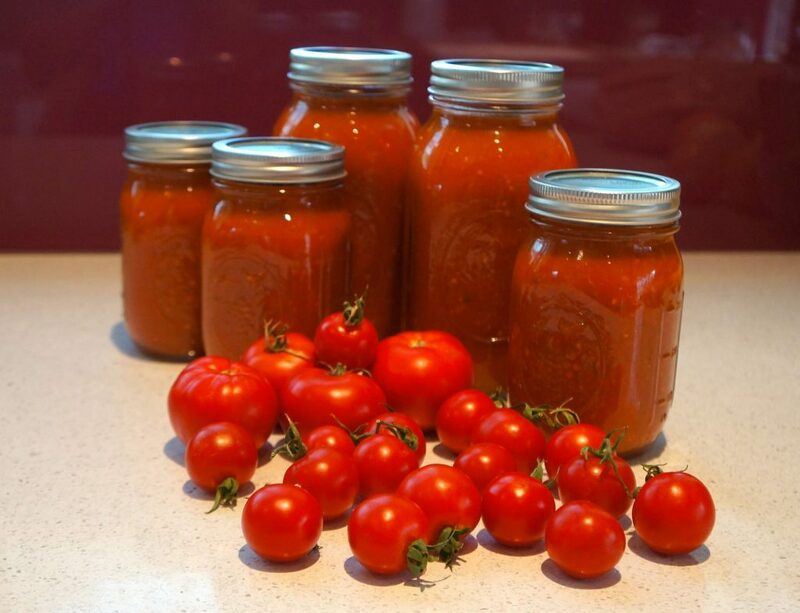 PS: I’d love you to share your recipe for tomato sauce!